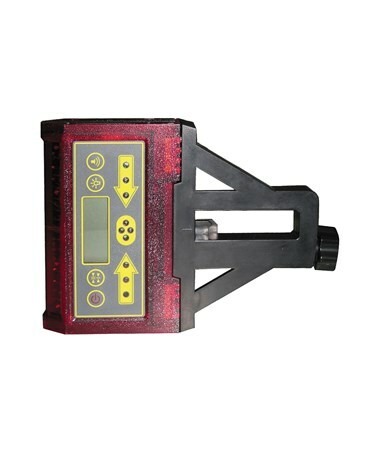 Designed for all brands of red beam rotary lasers, the Johnson Level Grade Rod or Machine Mountable Detector can be used as a level rod mounted or machine mounted laser receiver. For an accurate reading, it features a 240-degree detecting window for receiving the red laser beam. It also comes with two detection accuracies - fine and coarse. For easy set-up, this non-wireless laser receiver includes a removable grade rod bracket for magnetic machine mounting. Plus, it can be used with most red rotary lasers when working at extreme distances. 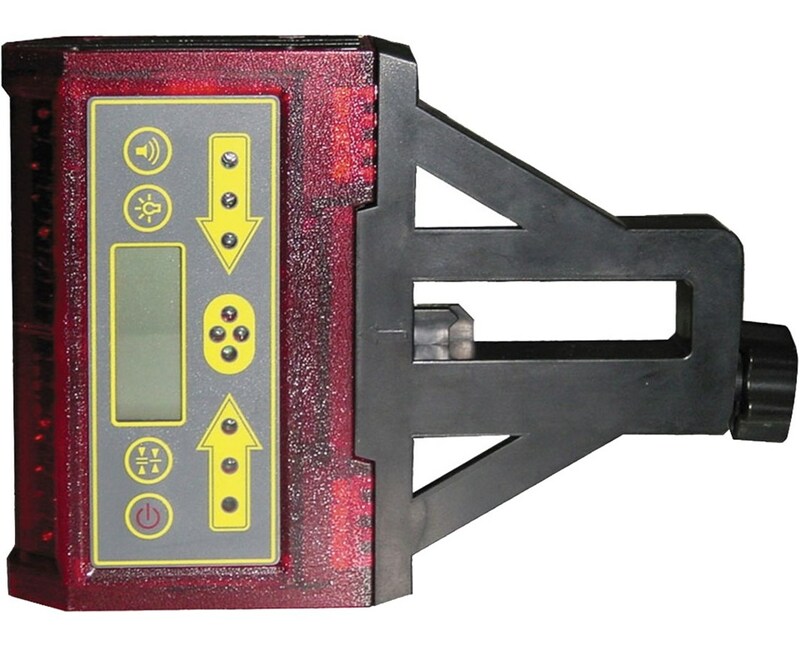 This Johnson Level Grade Rod or Machine Mountable Detector comes with bright LED indicators and a backlit LCD display for visual reading of grade position. It has a five-inch receiving window for an easy reading. If laser signal is lost, this machine control receiver shows the last five-second signal recorded. It also features a sound function for high, low, or on-grade indication. This detector can operate up to 35 hours and comes with a low-battery indication feature to prolong battery life. It is made of durable plastic which is designed to last for a long time. 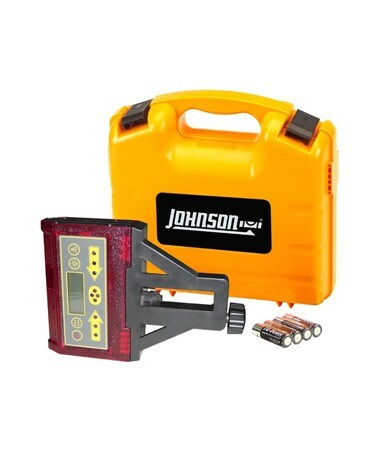 The Johnson Level Grade Rod or Machine Mountable Detector includes four "AA" alkaline batteries, instruction manual with warranty card and hard-shell carrying case. It also comes with a 3-year warranty.